Debbie qualified as a Dental Hygienist from Dundee Dental Hospital more years ago than she'd care to remember. She's worked in various fields such as hospital, community and general practice. 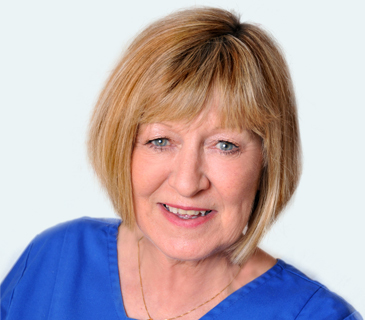 Debbie has worked at Polwarth Dental Clinic on a part-time basis since 1991. Debbie enjoys spending time with her family going to the movies, ice skating and taking short trips away at weekends. Any spare time left after that she enjoys experimenting with her culinary skills.